The Tarklanri are the descendants of Tarak son of Khashi by his wife Bassu. Akund Darweza states that the original inhabitants of Lamghan complained of the oppression of the oppression of the Tarklarnis, who had overran their country, to the governor on the part of Mughal rulers (in the reign of Humayun in all probability). An inroad was made upon the Tarklarnis, and their lands and properties were plundered, some of them carried off into captivity, and the rest fled for Bajaur but Yousafzais would not allow them to settle there . Thereupon, they went to Chaghan Sarai in the Kunar valley, but the Turks, Tajiks and Kafirs of that area repulsed them as well, and the tribe was without a home. They then attacked and seized the country of Gagyanis of Bajaur after slaying thousands of Gagyanis on two occasions . 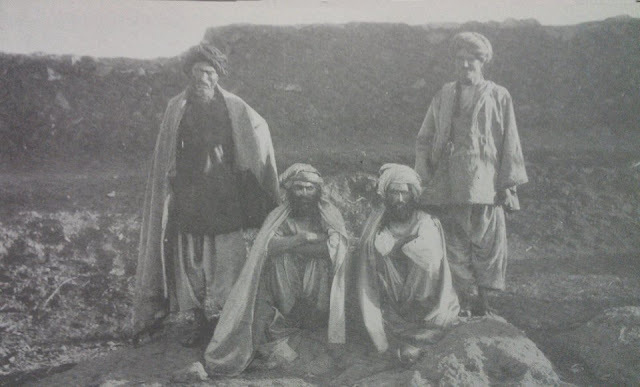 The Shoab clan remained behind and is presently settled in Laghman, Sirah Qila and Nanagarhar. Some of their clans, collectively called Katwar, went over to Badakhshan and Chitral. 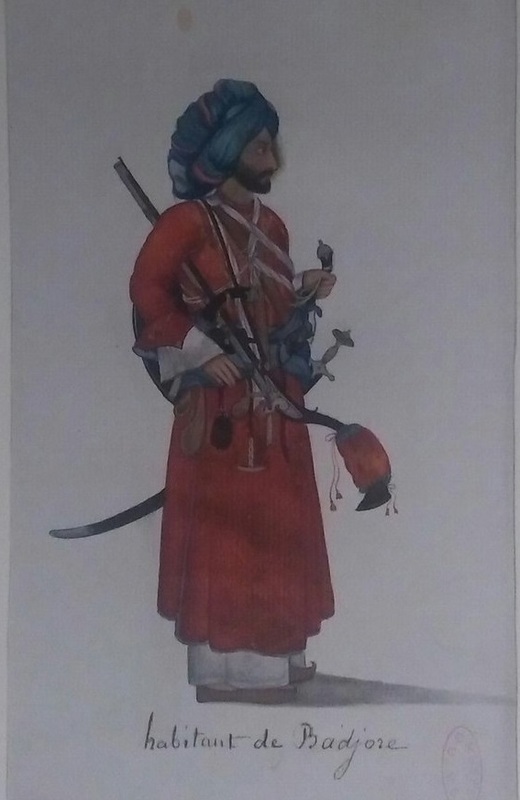 An inhabitant of Bajaur, 1827-1843. Illustrations by Imam Bakhsh Lahori for the memoirs of General Claude-Auguste Court.